Yesterday, two Moment Factory projects won prizes at the FRAME Awards, an event recognizing the world’s most innovative interiors, installations and designers. We were honoured to receive awards for our work on Tabegami Sama and Arcade Fire’s Infinite Content tour at a ceremony in Amsterdam. 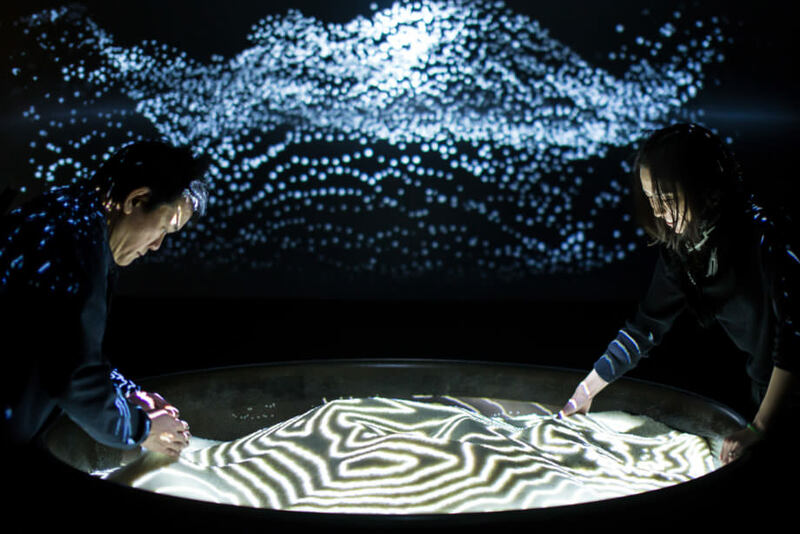 Tabegami Sama, a multisensory foodie experience created in Tokyo, won both the People’s Choice and Jury Prize awards for Best Use of Digital Technology in the Execution category. 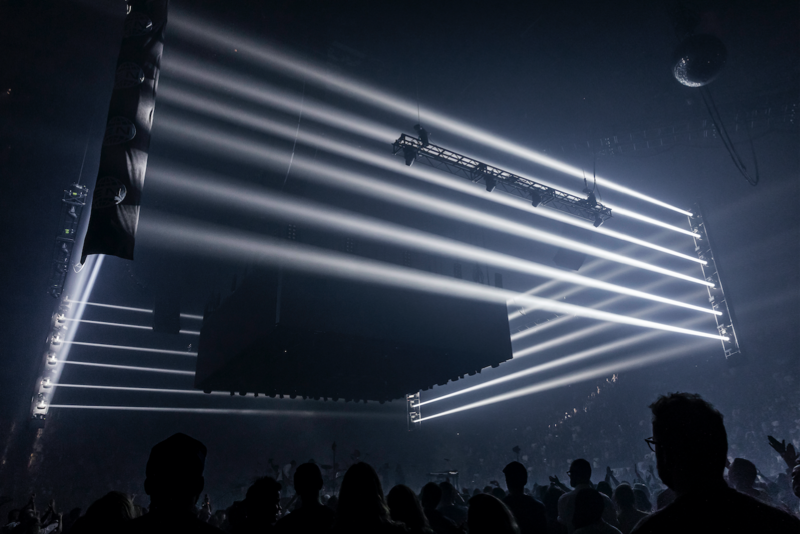 Arcade Fire’s Infinite Content tour took the People’s Choice distinction for Set Design of the Year. Thanks to Arcade Fire & the Tabegami Sama Production Committee for collaborating with us on these inspiring creative projects. 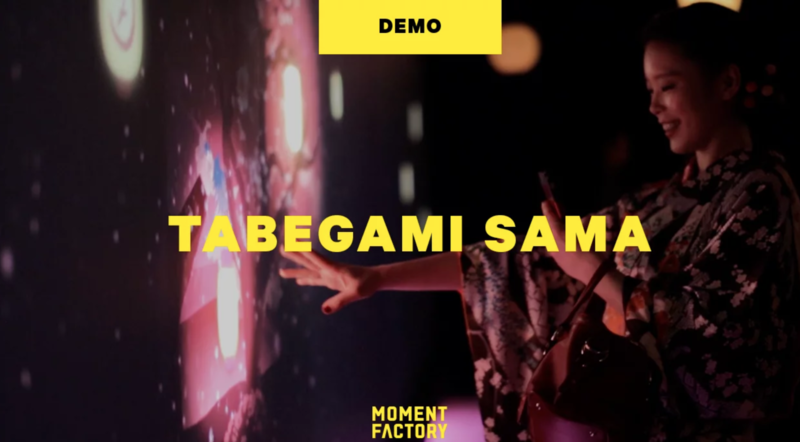 Tabegami Sama was created to offer an immersive engagement with Japan’s culinary traditions. 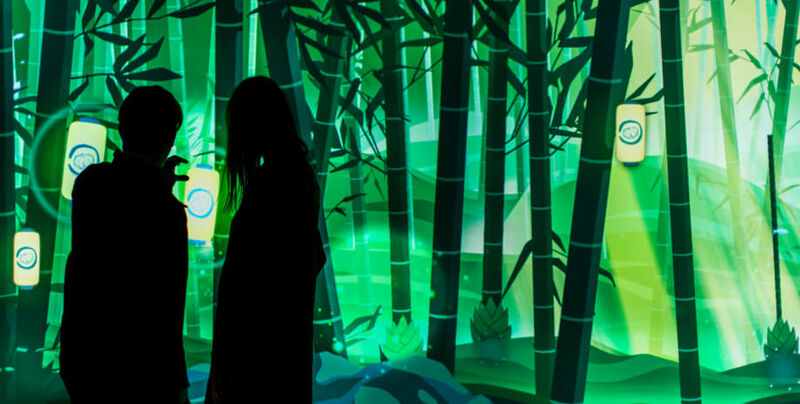 Collaborating with Sony, Kirinzi and Prism, the project used innovative storytelling to enhance a memorable culinary experience. With Arcade Fire, we thrive on amplifying the connection between artists and their audiences. For the Arcade Fire Infinite Content tour, we worked in close collaboration with the band on a 360˚ approach that included creative direction, stage design and original video content for both their arena and festival tours. Our turn-key concepts for both tours were conceived to frame performances that offered fans an intimate yet powerful experience. 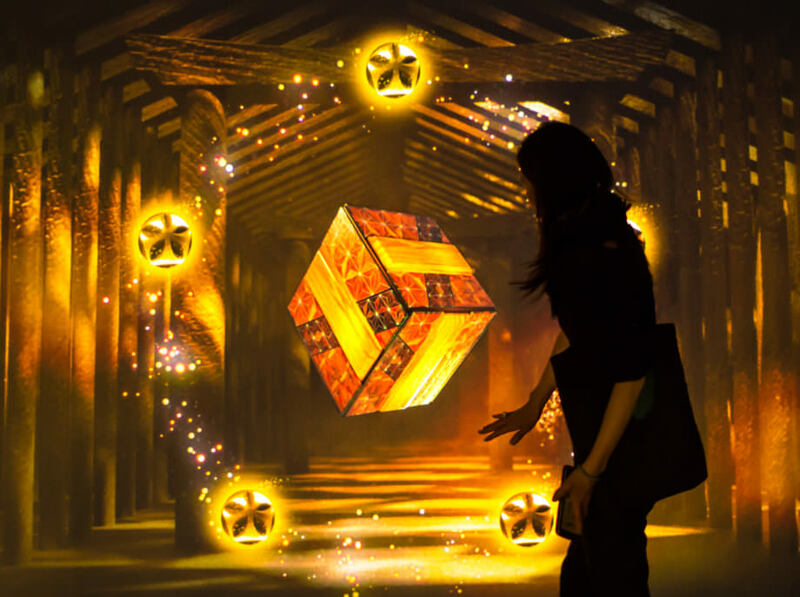 For the festival tour we developed a “smoke box,” a self-contained scenography of illusive projection spaces. 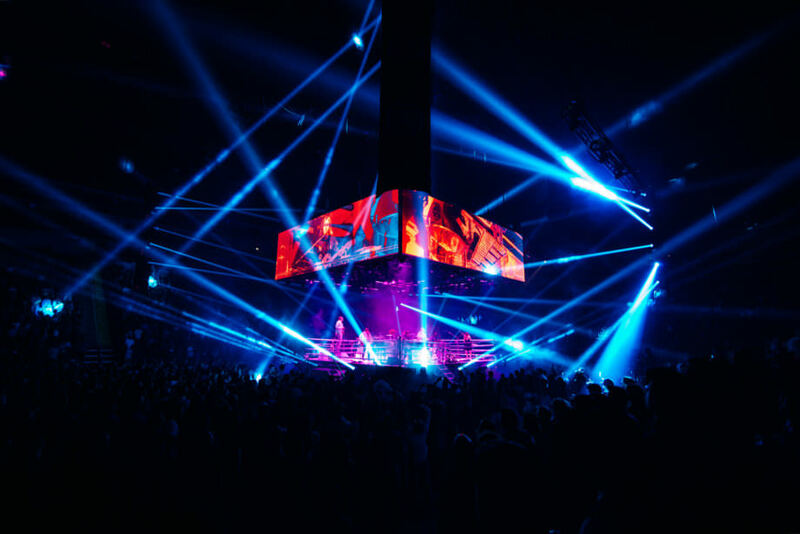 The arena tour was staged in-the-round with a boxing ring to blend the adrenaline of a fight, the epic energy of a concert and the high-concept playfulness for which Arcade Fire is known.